Totally Money's Airmiles Value Tracker is a tool compares how far your Avios points can get you based on the best value destination. Top tour players such as Rory McIlroy travels thousands of miles every year as the criss-cross the globe from Europe and the US to Asia and Australia, racking up countless hours in planes. Many have the benefit of private jet services for trips in the US but still travel commercially, especially transatlantic. Most have accrued a huge number of air miles and what the plan to do with them is anyone’s guess. But what can you do wit the unused Avios points you accrue with British Airways, Iberia or Meridiana Club? Totally Money's Airmiles Value Tracker is a tool compares how far your Avios points can get you based on the best value destination, with the option to filter your search so that it pulls out destinations according to your interest. Skiing fans will see an array of destination across France, Spain, Germany, Austria, Italy, Scandinavia, Finland and even Bulgaria, to name just a few. But there’s an even great array of choices for golfers who want to cash in on those airmiles and get in a game in some sunny clime. 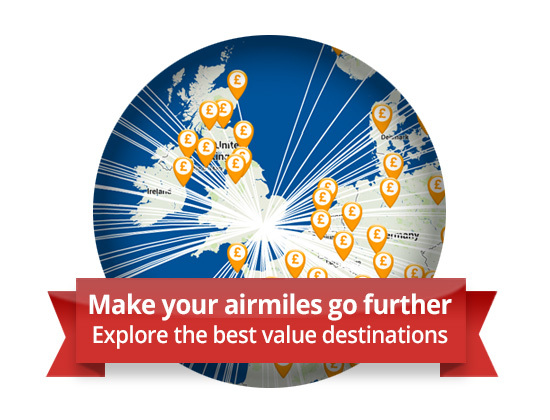 Users can simply enter the amount of airmiles they have, choose the golf list, and be given the top destinations on a map with average flight cost and how many airmiles they'd need to get there. Dublin popped up as the 36th best value destination with flights costing an average of £46 or 9,000 air miles with Palma de Mallorca the top value destination with average flights costing £340 or 15,000 airmiles. Click image to see the full interactive graphic (via TotallyMoney.com). Gibraltar, Alicante, Faro, Tenerife, Lisbon, Cape Town, Marrakech, Malaga and Hong Kong completed the list of the Top-10 best value destinations, which should give Irish tour operators some food for thought. The ranking produced by Totally Money's Airmiles Value Tracker is calculated choosing the cheapest possible ticket for each flight segment and does not include taxes. The departure dates were chosen 16 weeks from the date of the analysis and included a Saturday stay. Rory McIlroy confirmed in Hong Kong on Tuesday that he has joined the PGA Tour so he can become a major contender. Rory McIlroy loves to be lovedThe 20-year-old Holywood starlet finally made up his mind after Sunday's brilliant closing 63 in the HSBC Champions proved that the bigger the stage, the better he plays. Ending weeks of speculation about his plans, the world No 17 promised never to turn his back on Europe and insisted that he will copy Padraig Harrington by playing on both sides of the pond. McIlroy said: “I can’t thank the European Tour enough but I am just in a privileged position where I play wherever I want, and besides I earned enough money in US Tour events to get my card so I have taken out membership. The debate has started. Is Rory McIlroy making a mistake by joining the PGA Tour at this stage of his career? Did he say: "In five years I'll be beating these guys"?The Guardian's Lawrence Donegan thinks the youngster may well have boobed by trying to play both the US and European tours. There is no doubt, as Lawrence points out, that spending lengthy periods of time in the US means you simply don't get home to see your coach as often as you might like. Just look at Harrington's disastrous DIY swing tweak this year. Then there's the travel, as McIlroy's World Cup partner Graeme McDowell can attest after a nefarious PGA Tour foray cost him a Ryder Cup place at the K Club in 2006. McDowell's manager at the time was Chubby Chandler. "Part of the Desmond DNA is a responsibility to contribute where possible to Ireland"
God bless. 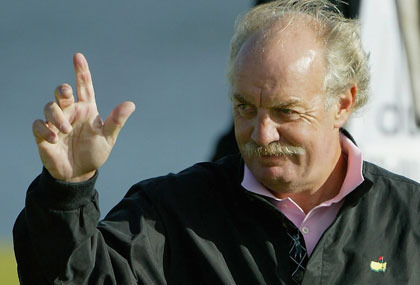 Dermot Desmond.Dermot Desmond, the patron saint of tour pros, stood up at the Convention Centre in Dublin less than a fortnight ago to address a golf business conference. There were no tips on shares just his take on the finanacial meltdown and what Ireland can do to get back on track. He will be watching our progress with great interest from Gilbraltar, Barbados, London, Glasgow etc and contributing “where possible” …. Lee Westwood is rejoing the PGA Tour next year. Picture Stuart Adams /www.golffile.ie Lee Westwood’s surprising decision to do a complete U-turn and rejoin the PGA Tour next season was inspired by Luke Donald’s rise to world No 1 this year. Who knows if the rise to world No 2 of US-bound Rory McIlroy has had a bearing too. 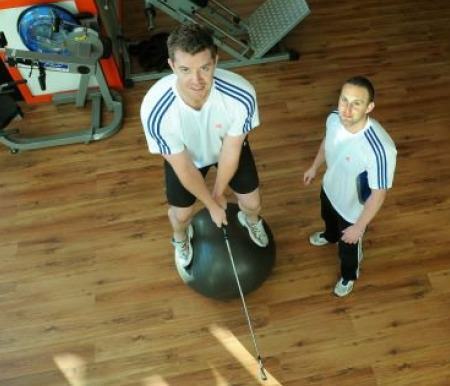 Peter O’Keeffe with strength and conditioning coach Luke Dennehy at his gym in Ballincollig, Cork. Picture: Brian LougheedPeter O’Keeffe would love to have travelled to Africa for this week’s Barclays Kenya Open. Instead he’s busy studying for his PGA qualiifactions and working hard on his pre-season training in the hope of winning a European Challenge Tour title in 2013. Do you need golf insurance?